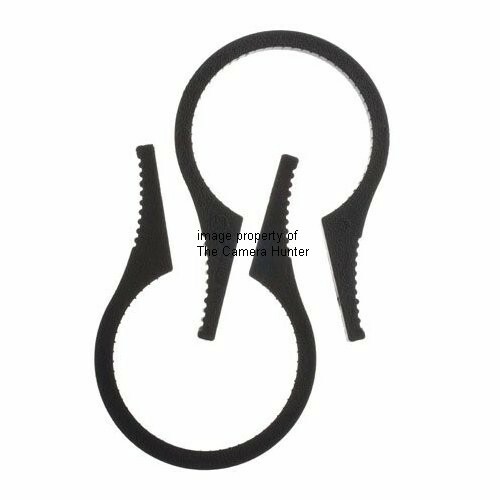 This is a brand new filter wrench set for removing a stuck filter from the front of your camera lens. You can also use it to get two that are stuck together apart. I know other sellers are selling these one at a time on ebay but they are not supposed to be used one at a time. If you have a newer autofocus lens and try to wrench a filter off by using one wrench by itself you run the risk of breaking the lens. There is a piece inside the lens that serves as a stop that stops the lens from focusing when it reaches either end, both at the closest focusing distance and infinity. To much pressure and you break the stop point and ruin the lens. This set is to be used with care when working a stuck filter loose from a lens. Use the wrenches together, one opposing the other so no stress is put on the lens stop. If you have two filters stuck together try putting them between the palms of your hand and then rotating them apart, usually works. These wrenches have saved me a few times and they are great to have if you need them. They will work on filters between 67mm to 82mm. They are made of black plastic. 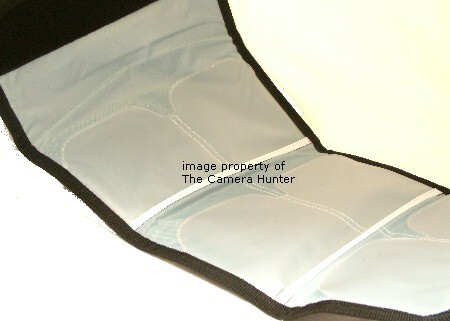 Here is a nice and new padded filter case to keep your filters clean and organized. It will hold 6 filters up to 62mm. I like these because they are a nice way to keep your filters, the Velcro is perfect for keeping it closed, black color, and it is not bulky. It will easily fits in you back pocket or shirt pocket so you can keep your filters with you and not bring the whole camera bag. There is also a loop on the back so you can attach it to a camera strap or belt. I have two sizes available, this one and a smaller one just like it for filters up to 62mm. Great item for the filter enthusiast! 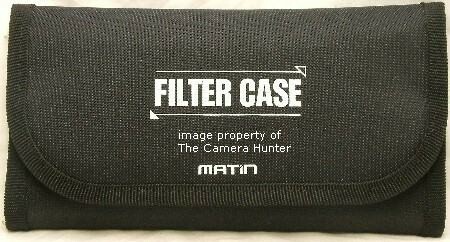 Here is a nice and new padded filter case to keep your filters clean and organized. It will hold 6 filters up to 82mm. I like these because they are a nice way to keep your filters, the Velcro is perfect for keeping it closed, black color, and it is not bulky. It will easily fits in you back pocket or shirt pocket so you can keep your filters with you and not bring the whole camera bag. There is also a loop on the back so you can attach it to a camera strap or belt. This is a brand new filter wrench set for removing a stuck filter from the front of your camera lens. You can also use it to get two that are stuck together apart. I know other sellers are selling these one at a time on ebay but they are not supposed to be used one at a time. If you have a newer autofocus lens and try to wrench a filter off by using one wrench by itself you run the risk of breaking the lens. There is a piece inside the lens that serves as a stop that stops the lens from focusing when it reaches either end, both at the closest focusing distance and infinity. To much pressure and you break the stop point and ruin the lens. This set is to be used with care when working a stuck filter loose from a lens. Use the wrenches together, one opposing the other so no stress is put on the lens stop. If you have two filters stuck together try putting them between the palms of your hand and then rotating them apart, usually works. These wrenches have saved me a few times and they are great to have if you need them. They will work on filters between 46mm to 62mm. They are made of black plastic.